After weeks of debate about Supreme Court nominee Judge Brett Kavanaugh, the debate is still about one thing: the truth. Kavanaugh‘s ability to tell the truth. The FBI’s ability to find the truth. And the Senate’s ability to recognize the truth. All of them have taken an oath to tell the truth and to follow the rule of law and the Constitution. However, they did not take an oath to President Trump. All of them, and specifically the FBI, have a responsibility to follow the facts wherever the facts take them. If they find wrongdoing, then it is their responsibility to report it. Just because the White House told the FBI what it can and can’t do doesn’t matter … or does it? This debate about the truth is central to whether Kavanaugh should serve on the Supreme Court, because his job as a justice would be to determine the truth and then apply the law. If Kavanaugh is unwilling to tell the truth about himself then he is unqualified to serve on the Supreme Court, as Sen. Jeff Flake, R-Ariz., admitted in a recent interview. Yet the FBI report on Kavanaugh that senators were reviewing Thursday is unable to determine his veracity, because the FBI never spoke to Kavanaugh, Christine Blasey Ford, or 40 other people who might have provided relevant information about the judge. Ford has accused Kavanaugh of sexually assaulting her some 36 years ago when both were in high school. Kavanaugh has repeatedly denied that allegation and other allegations of sexual misconduct, and stated that he has never sexually assaulted anyone in his life. It’s now clear that omitting Ford and Kavanaugh from the list of people the FBI interviewed for its reopened background investigation of Kavanaugh means that the investigation can’t reveal the truth. In fact, the restrictions on the FBI were clearly a deliberate move by President Trump to ensure the truth isn’t revealed. That omission alone signals Trump is concerned that an interview with the FBI may reveal relevant disqualifying information. That’s a chance he can’t afford to take. Why else would you omit Kavanaugh or Ford from a list of people the FBI interviewed? Remember, if either of them lies to an FBI agent during an interview it’s a felony. But for Kavanaugh, the consequences would be not only a losing seat on the Supreme Court but also his current post on the U.S. Court of Appeals for the District of Columbia. The stakes are high. But no one is too big to fail – especially when it comes to a Supreme Court appointment. Many Americans don’t need an FBI report to know the truth about Brett Kavanaugh. That was on full display last week with his performance before the Senate Judiciary Committee. In an angry, lashing display that unleashed a fusillade of hits on a range of targets from Democrats to the Clintons, Kavanaugh looked more like a political pugilist than a judge. 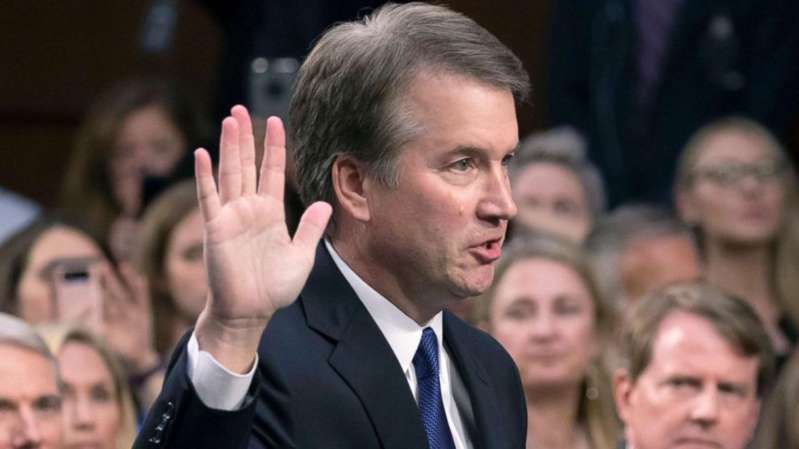 Kavanaugh’s emotional accusations and refusal to reply when asked questions he didn’t like or turning them on his questioner – as he did with Sen. Amy Klobuchar, D-Minn. – was hardly the demeanor of anyone who should serve as a judge anywhere, let alone on the Supreme Court. That’s the Brett Kavanaugh that Americans will remember. So the truth should determine the fate of Kavanaugh. And we may never find it with this FBI report. But the truth matters in a democracy, as every American knows. We shall soon see how many senators know it too, when it comes time to vote on whether to seat Kavanaugh on the Supreme Court.